‘Sir! boom boom, chi chi, friends, massage, girls….!! !‘ These are the first things anyone can hear when they land at Batam Islands in Indonesia. In my 10-days trip to Singapore, I booked two days for this beautiful island. 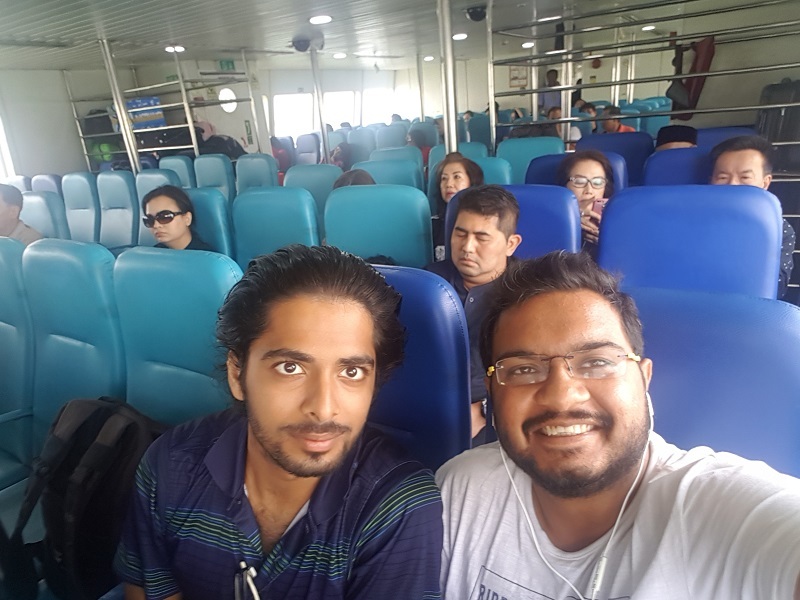 During my journey to Batam Islands, I could not do much but it was a worthy experience in terms of learning and exploring a totally different culture and place than mine. 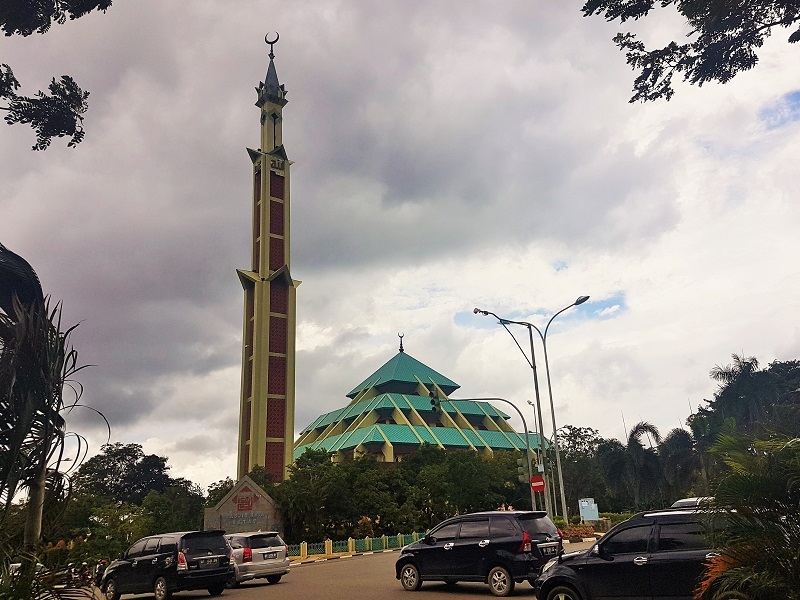 Batam Island is the part of Riau Archipelago of Indonesia and is the third busiest entry point to Indonesia followed by Jakarta and Bali. 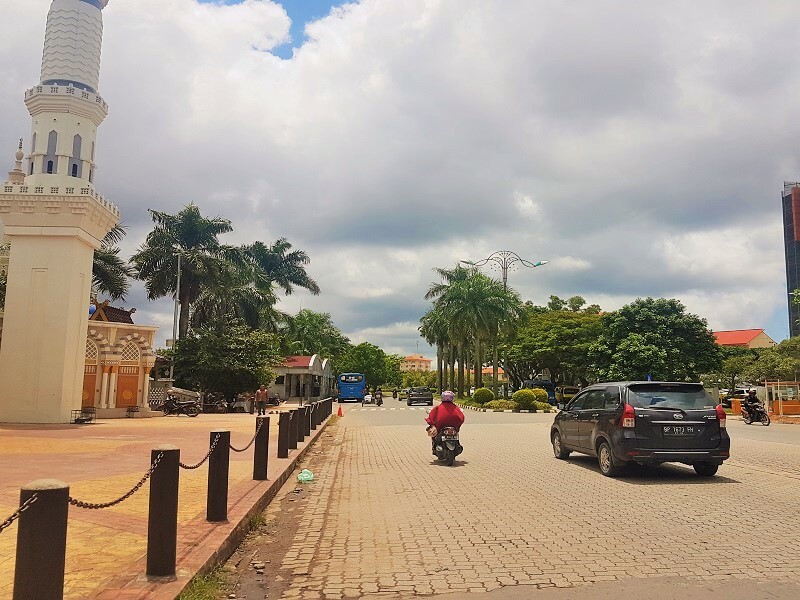 Along with the industrial free trade zone, Batam also caters as a leisure island for the families and friends looking for a quick weekend getaway from Singapore or other nearby areas. 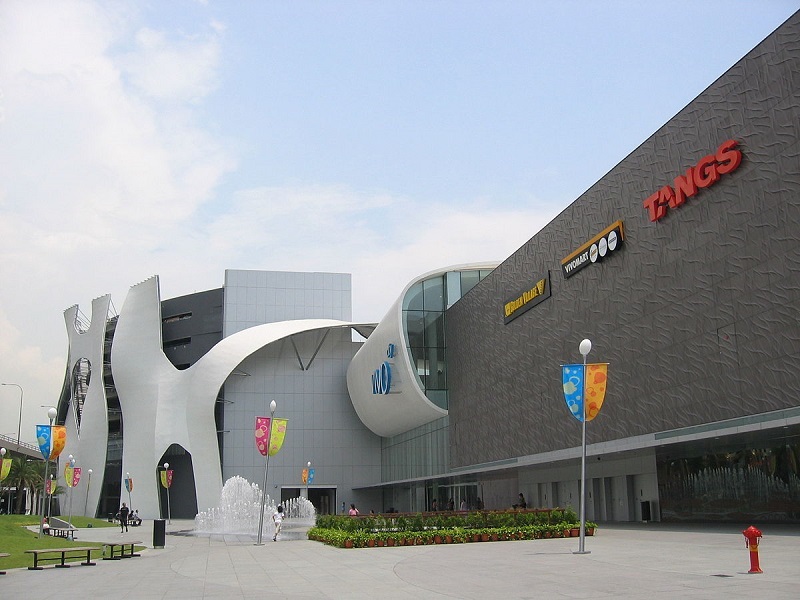 During your visit to Batam Island, you can shop, drink, indulge in water sports, enjoy seafood and much more. There is something for everyone. 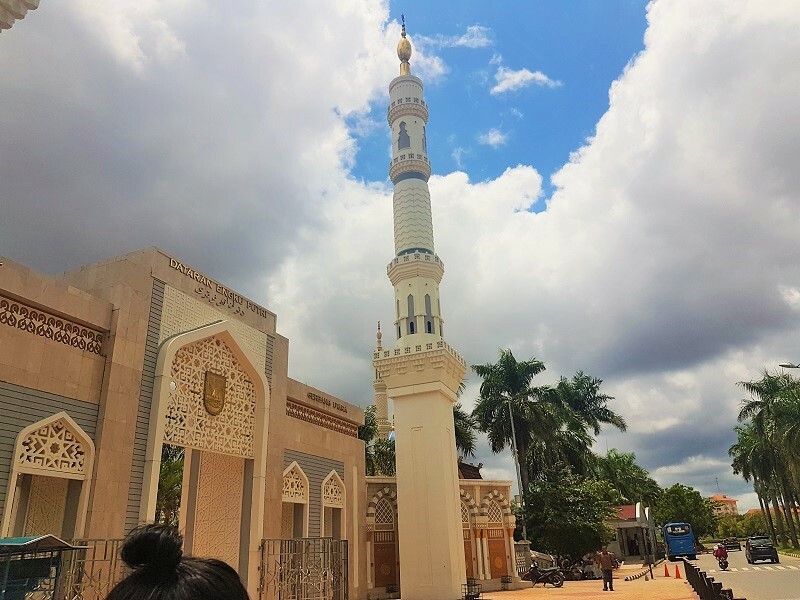 However, Batam Island has a little flimsy reputation but it is a decent getaway, which you can visit with anyone and have fun with various activities presented over the island. Reaching Batam from Singapore is easy. 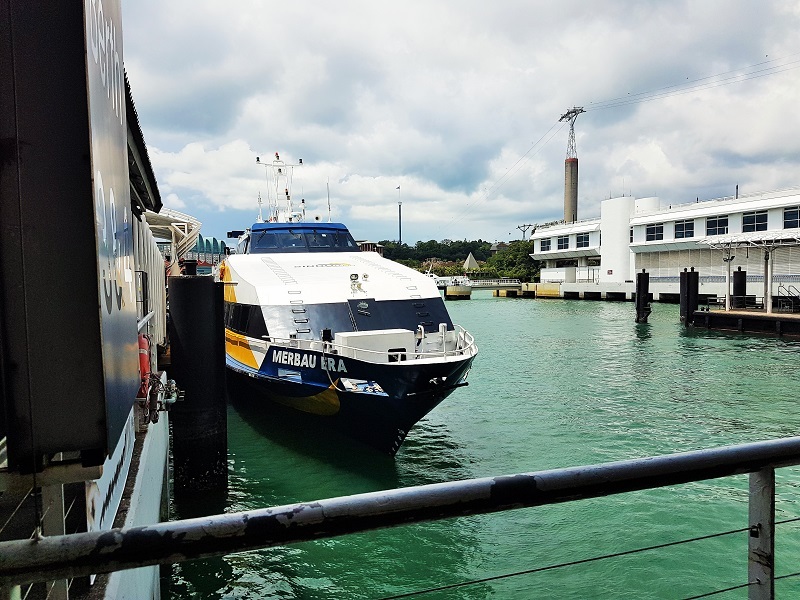 There are more than 20 ferry companies in Singapore that offer their services to this beautiful Island and the travel time from Singapore to Batam is around 45 to 50 minutes. 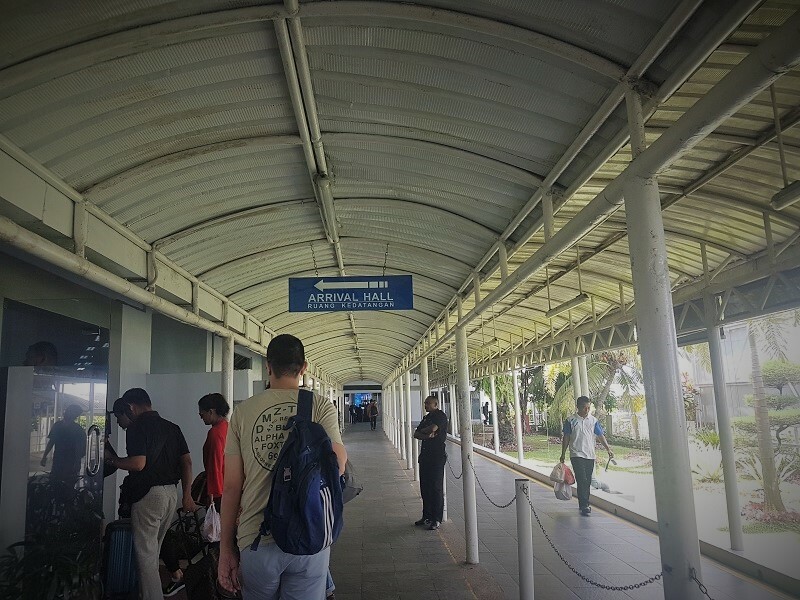 As Indonesia has the policy of visa on arrival for Indians, entering Batam from Singapore does not require any documents except the valid Indian passport. 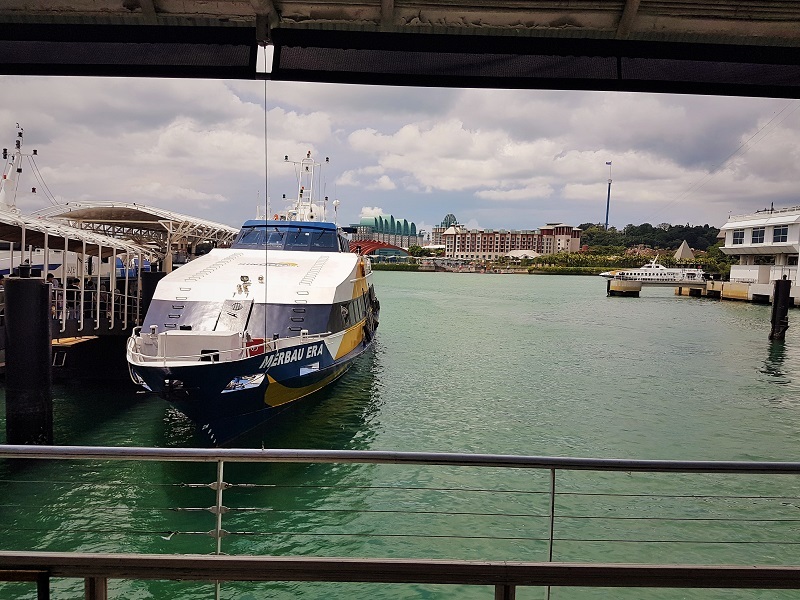 The approximate cost of the ferry ticket from Singapore to Batam is S$50 and it is wise that you buy the two-way ticket in advance to avoid any last moment hassle. I reached Singapore on the evening of September 29, and I kept two days after that for Batam. My friend Ajay already booked the ferry tickets and hotels in Batam and it just costed S$130 all inclusive for both of us. We were supposed to board the Sindo Ferry from Singapore to Batam Islands, which departs from the Harbour Front near Vivo City Mall. 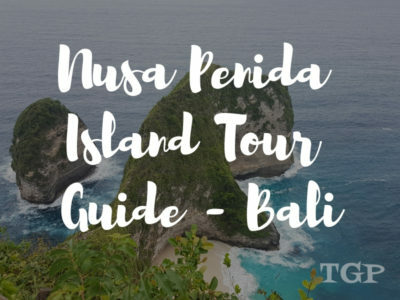 There are multiple departures of the ferry in a day and hence, you buy a general ticket online first and go to the company’s counter to collect your boarding pass and schedule of the ferry. The previous night was the party night as it was Ajay’s birthday and hence, it was around 2 AM when we went to bed. Though we decided before sleeping that we will catch the 9.30 AM ferry but due to the blessings of last night, we woke up at around 8.30 and reached Harbour Front at around 9.30 AM, thinking of catching the 10.30 AM ferry. However, when we reached, the ferries till 11.30 AM were full and the next ferry we could get was of 12.30. So. we had a complete three hours to spend. 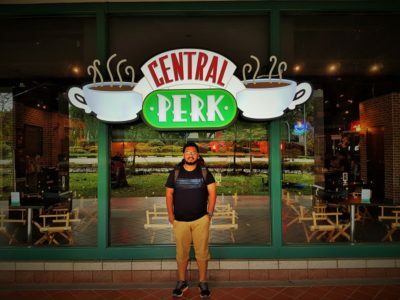 As I told, the ferry departs from Harbour Front, Vivo City Mall, and the mall was on my to-visit list of Singapore, I decided to stroll around the mall and have my first breakfast in Singapore at one of the mall’s food courts. My dear friend Ajay is vegetarian and hence, it was important to find something, which he can gobble down. 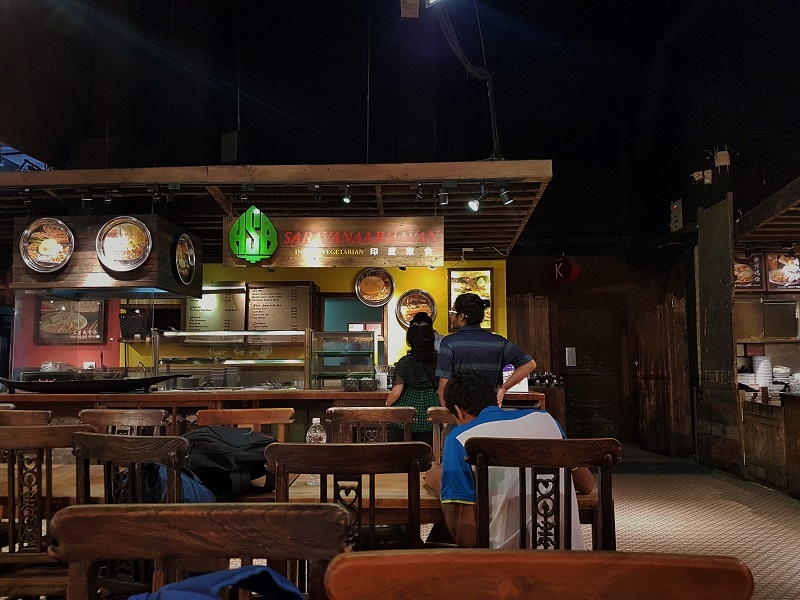 Luckily, while strolling around the food court, I stumbled upon the very famous south Indian restaurant the ‘Saravana Bhawan,’ which became my friend’s savior. I literally liked the food court and wanted to have my first breakfast of Singapore here itself. 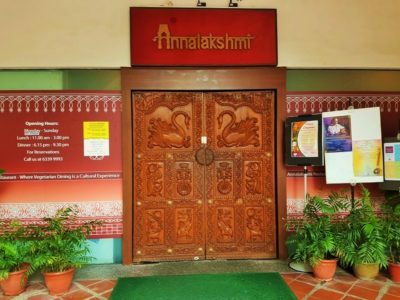 If we had not found the ‘Sarvana Bhawan,’ we would have had no other choice but to leave the place and search for a new breakfast place. Yes! The one in the blue shirt is my dear friend Ajay waiting for the food! I always do a little bit of research before visiting any place. Hence, before leaving for Singapore, I was searching for the things to do, places to visit, what to eat etc. 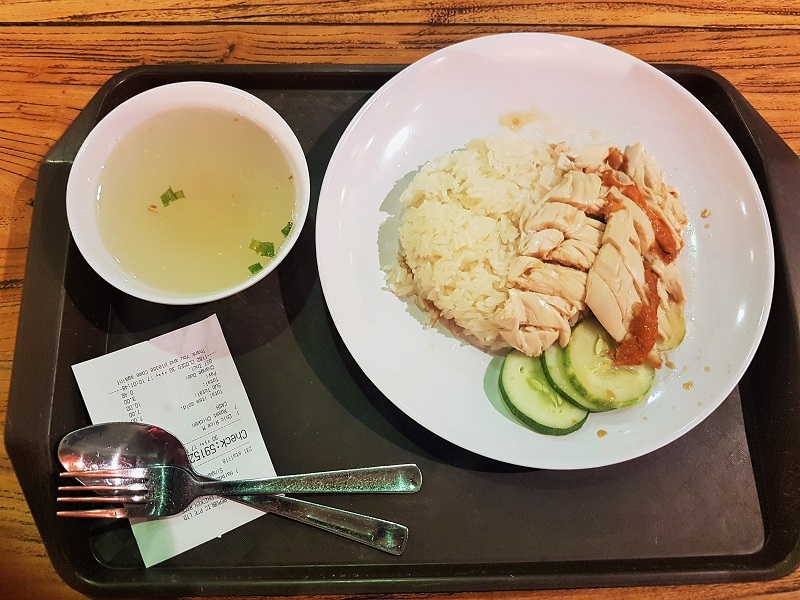 and on many blogs, I read about Singapore’s famous chicken rice. Luckily there were many stalls, selling the delicious chicken rice and I thought to give it a try. Chicken rice was nothing but the plain white rice served with chicken and a little salad. It was delicious and fulfilling, which prepared me completely for my upcoming journey. 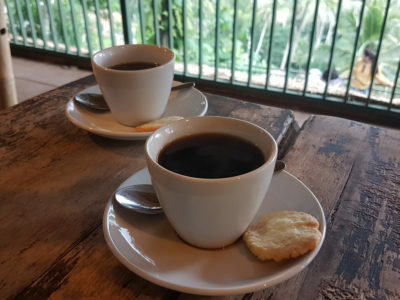 Any breakfast or I should say, any meal is incomplete without a cup of coffee! 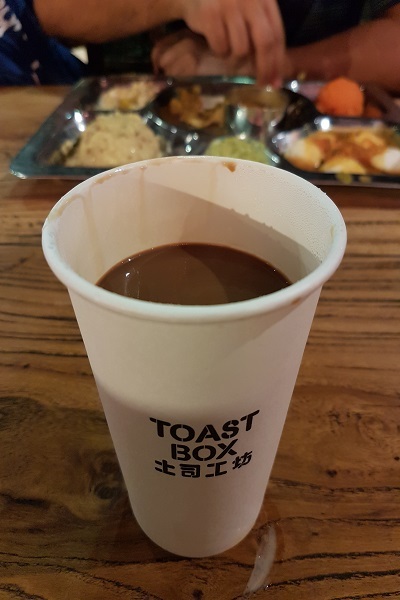 And if the coffee is from Toastbox, what could be better than this. After the delicious breakfast, it was the time to board the ferry and head towards the destinations. We reached the boarding points after the immigration process from where we had to board the ferry. 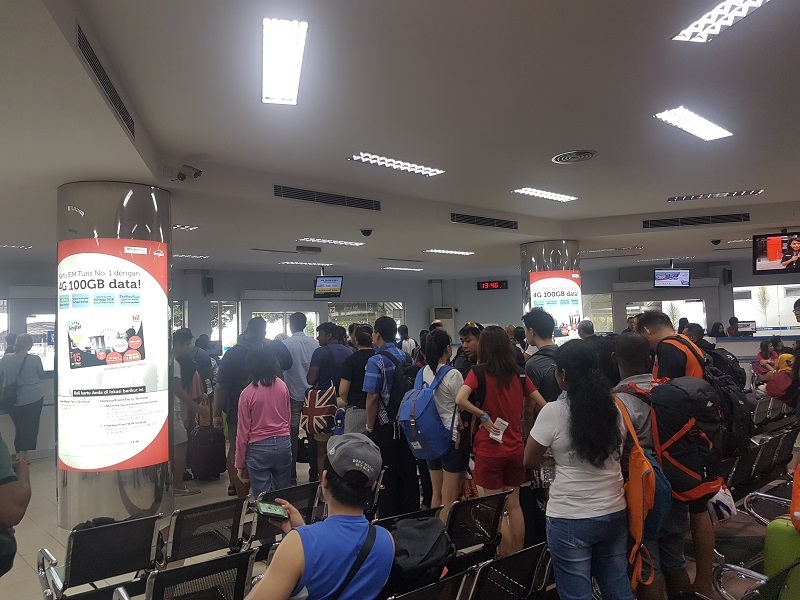 All the ferries from Singapore to Batam Island run on time and hence, it is suggested that you reach the boarding gates at least 30-minutes prior to the departure. 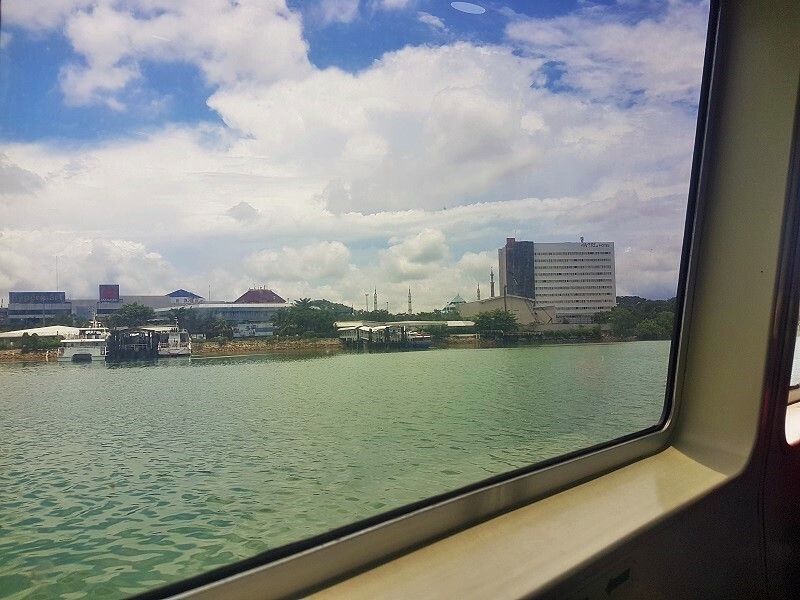 The ferries to Batam from Singapore are fully air-conditioned, comfortable and fast. You do not get the seat numbers and it works on a first come first serve basis. Luckily, the ferries were not much crowded on the day we were leaving and we got the place to sit easily. 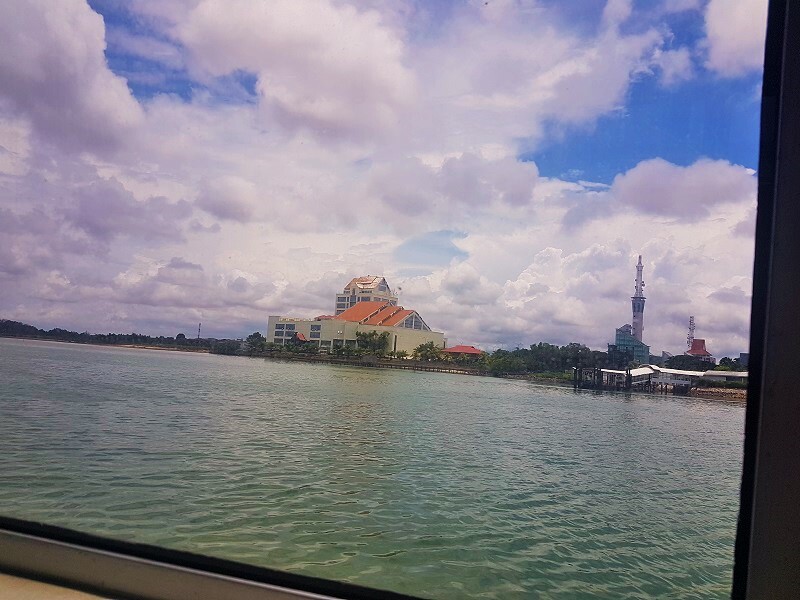 After around 50-minutes of the ferry ride, we could see the glimpses of beautiful Batam Islands. Our arrival was at the Batam Center Ferry Terminal in Batam. The weather at Batam in October was pretty pleasant. It was not humid but a little hot with cool sea breezes. After getting out, it was the time to go through immigration-check in Batam. As I told, it is visa on arrival for Indians in Indonesia, the immigration process was pretty smooth. They do not ask any question, just a quick photo of yours and you get the stamp to stay in Indonesia for a month for non-commercial reasons. It was around 2 PM when we were done with the immigration process and standing outside of Batam Center Ferry Terminal. We decided to look for some rentals before heading to our hotel because the best way to explore Batam is by renting the bike. So, we started walking through Batam Center Ferry Terminal in search of bike rentals. On the way, we had a good sight of the island. With not many places to visit, I found Batam quaint and peaceful place. 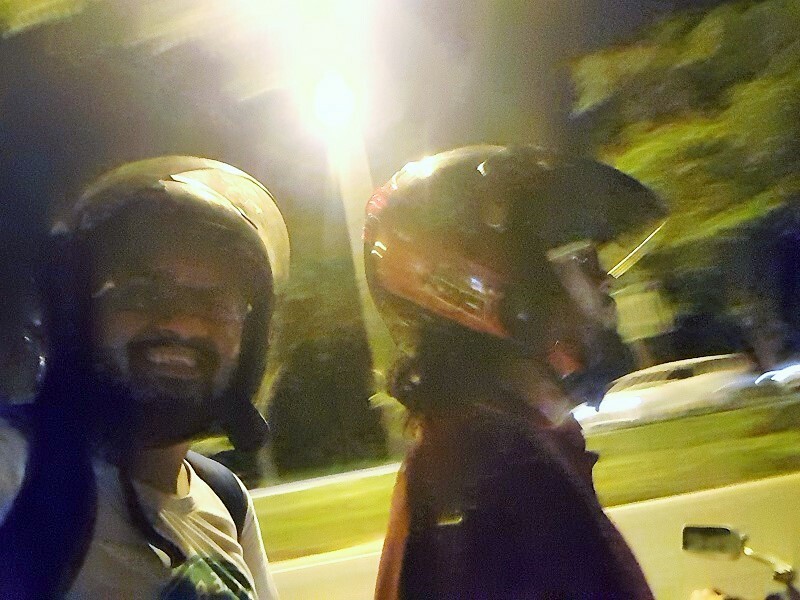 Our search for bike rental in Batam was unsuccessful and hence, I and Ajay decided to take the cab and head to our hotel. So, near the Batam Center Ferry Terminal, we got the cab and after a little negotiation, he agreed on 70,000 IDR. Yup! That’s a little costly. Well, we had no option but to accept the offer as we both were hungry and tired. It was a good 25-minutes drive to our hotel from Batam Center Ferry Terminal. During the journey, we had a good conversation with the cab driver. Though he didn’t know good English, however, with the combination of signs and bits and pieces of English we managed. The rest of the cab ride was filled with silence. After reaching the resort, we checked in and took rest for sometime. Oh, I forgot to tell you! We booked the Golden Bay Hotel in Batam. It was a decent hotel and had all the basic facilities that anyone can expect in an average resort. In front of the hotel was the Batam’s only go-karting circuit, which was accessible to anyone coming to Batam. One of the hotel’s staff invited us for the hotel tour and after the tour, it was the time for something to eat. 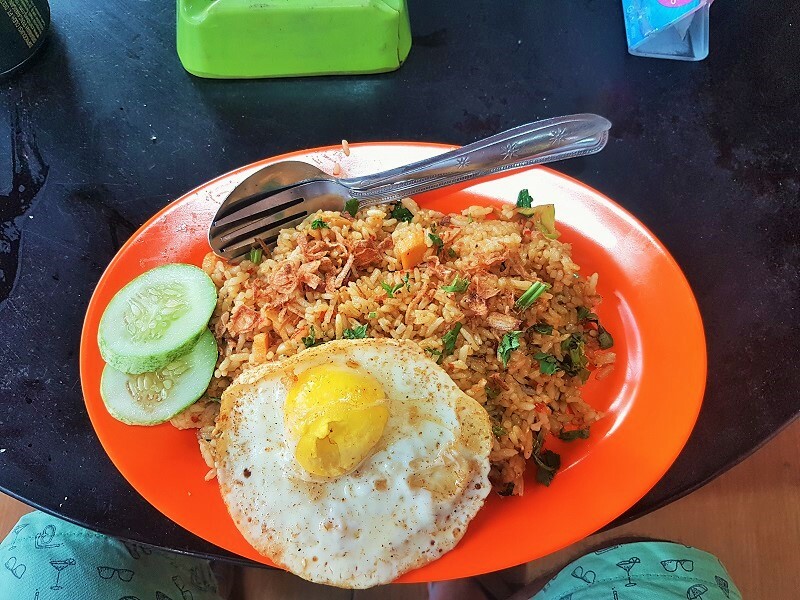 I’m the big fan of Nasi Goreng and if you are in Indonesia, how can you not try it. Luckily, we found a small food stall near our hotel selling, beers, nasi goreng and much more. 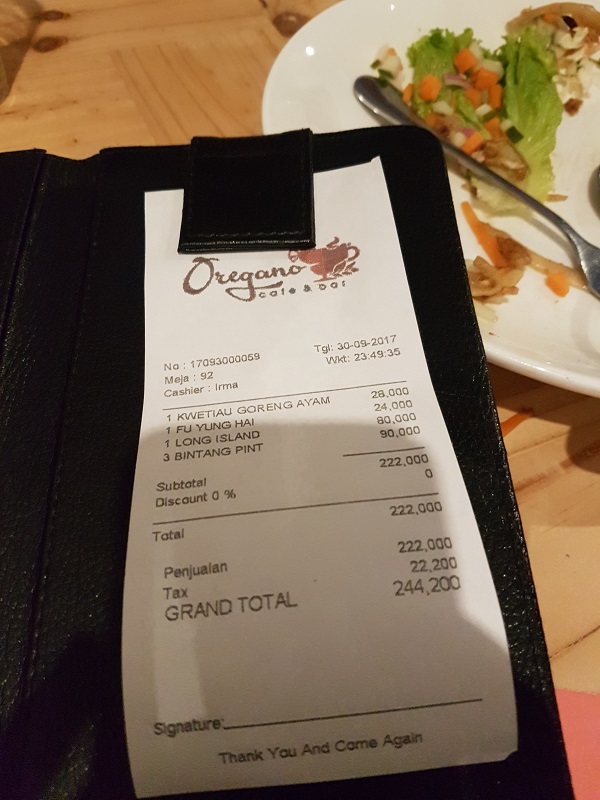 Without any doubt, we ordered two nasi gorengs and beers. Yes! I know people! Ajay’s vegetarian but “idhar wo pighal gaya.” (Occasionally he eats non-veg). Believe me, nothing could have beaten that Nasi Goreng in the lunch. Lunch – Done! What next? 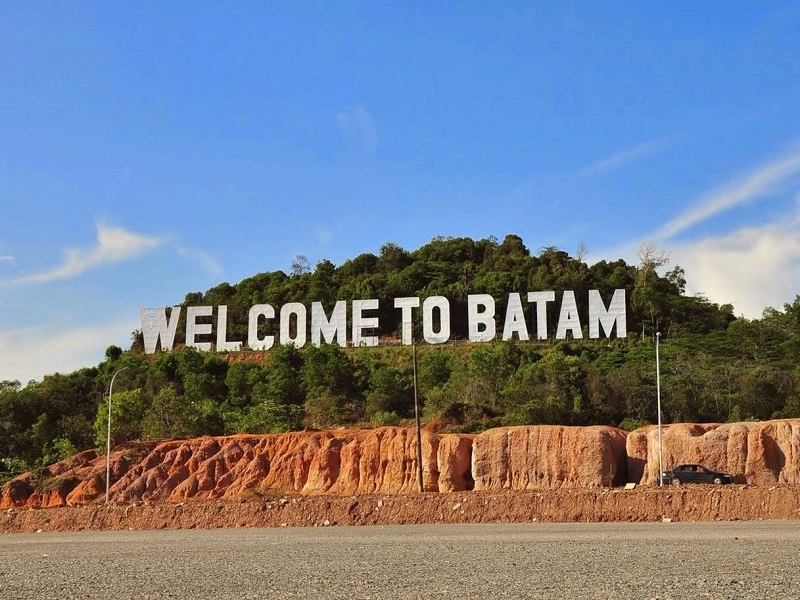 It’s time to explore Batam. 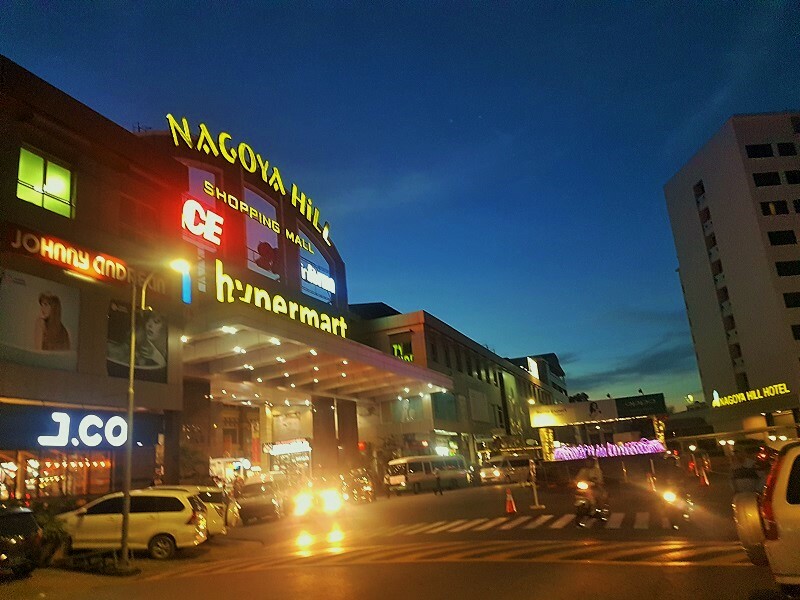 Our hotel had the regular pickup and drop services to Nagoya Hill Shopping Mall, which is the city center of Batam. So we took the cab and started our journey to the mall. The driver was no taller than 4’5″ but the confidence he had was mind-blowing. To his question, we politely said no and then he dropped us at the main entrance of Nagoya Hill Shopping Mall. After reaching the Nagoya Hill Shopping Mall, our first task was to look out for the rental so that we can explore the island without any hassle. A little Google search and we could find two bike rentals near the Nagoya Hill Shopping Mall; one was a little far and walking till there had not made any sense. So, we went to the other one. After reaching the location shown on the map, we saw a bike rental board and a few bikes parked. However, there was no one and even asking in one of the shops was not helpful because of the language barrier. Then a guy came there, luckily, who knew English and with the help of him, we got one bike but only for a few hours. The deal was set for 7,500 IDR and we could have the vehicle till 11 PM only. We thought at least something is better than nothing and we agreed to the deal. First, the owner gave us some vintage bike, which Ajay struggled a lot to start but failed all the time. That bike had no clutch and hence, once we put the gear, it was impossible to bring it back to neutral. The battle of Ajay’s patience and bike ended after 15-minutes and the winner was the bike. After the failed struggle, the owner gave us the better bike, which had no gears, was powerful and comfortable. 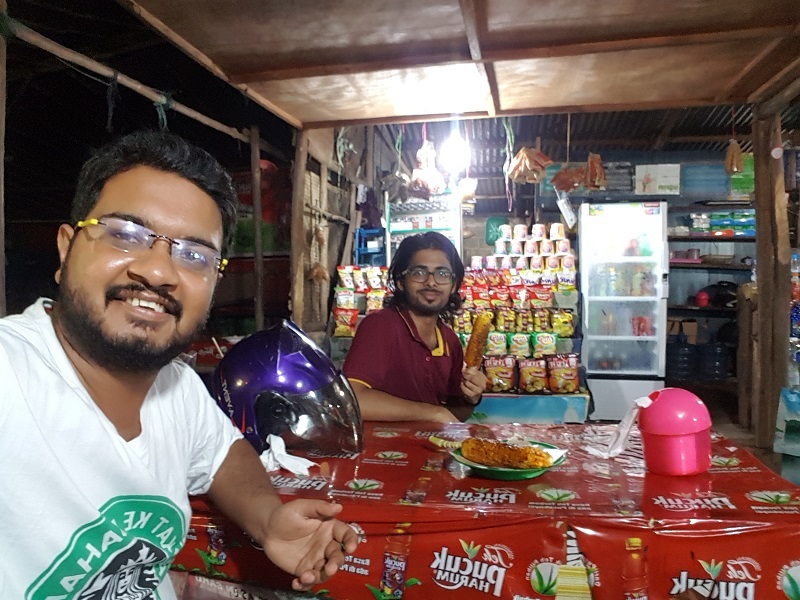 So, we took the bike, fuelled it and started our journey towards Tengku Fisabilillah, which is the part of Jembetan Barelang, meaning Barelang Bridge, connecting Batam, Rempang, and Galang. It was around 7.30 PM when we started our ride. 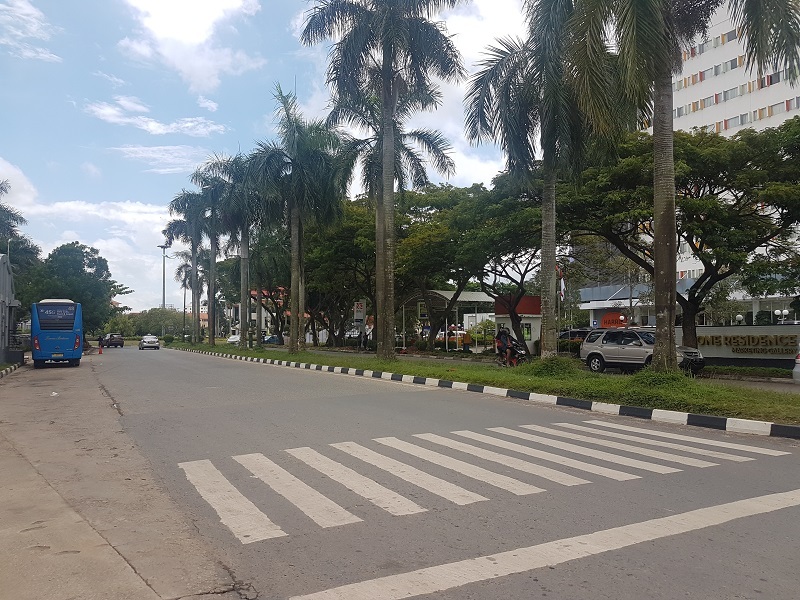 During the ride, we passed through the whole Batam City towards the south of the island and after a point, it was just a two-lane road surrounded by jungles and little traffic. The weather was so pleasant and the surroundings were calm. It was one of the best rides of my life till now. Tengku Fisabilillah was approximately 24 KM from Nagoya Hill Shopping Mall and it took us around one hour to reach our destination. The roads in Batam Islands are excellent with not much traffic. The Tengku Fisabilillah bridge was full of people, hanging out with friends, busy chatting, smoking, etc. It was a pleasant atmosphere and dark so I couldn’t see the shoreline or any views from the bridge. But indeed we had some great discussions on the bridge over the smokes. We started our journey back to Nagoya Hill after one hour as we also had to return the bike and have our dinner. 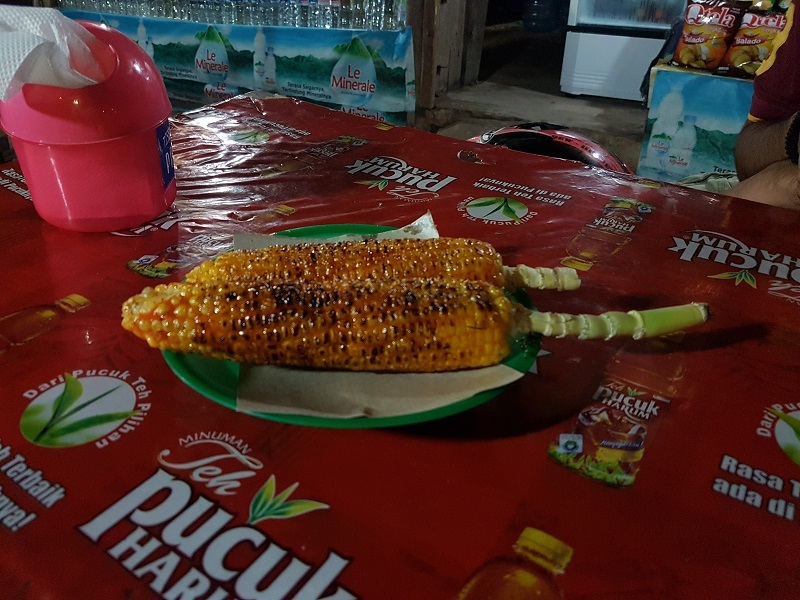 Enroute, we stopped for the corn break at one of the roadside shops. Apart from the usual butter spread on the corn, the lady from the corn shop also put some tangy and spicy chutney, which tasted delicious. I wanted to have more but we had to go back and drop our vehicle. So, I compromised! Yes! my face looks oily as it was a little hot and humid that evening, but for some time only. After the corn break, we started our journey back to Batam city and dropped the vehicle at around 10 PM. Next task was to look for an awesome place for dinner. 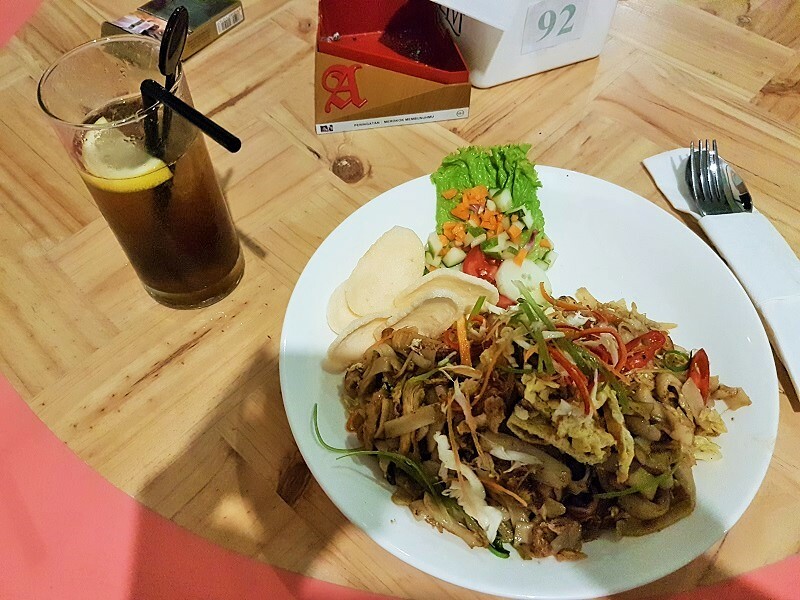 There are various nightclubs and pubs in Batam, playing live music and serving delicious food and alcohol. 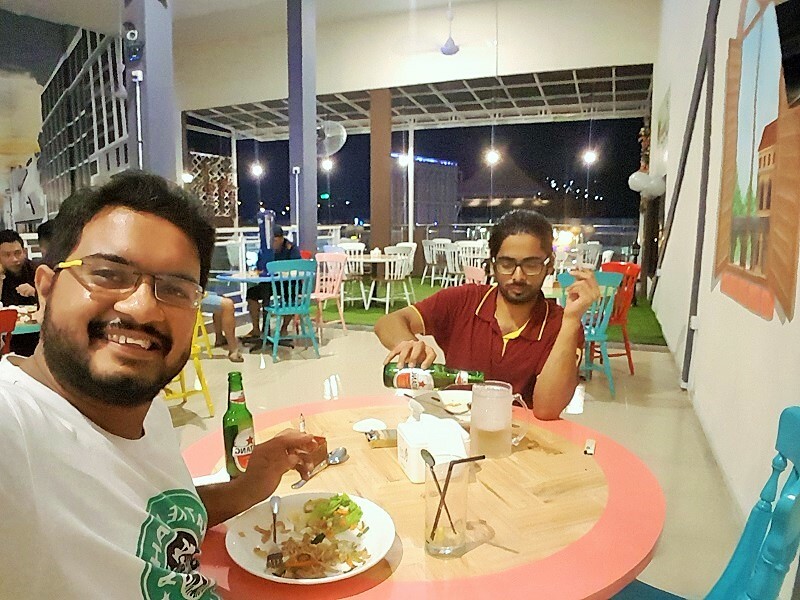 Ajay has already been to Batam once, and he knew one great pub in Batam named UK Bar Grill & Resto. So, we decided to head towards it for our dinner. However, whilst walking, we stumbled upon a beautiful cafe near to Nagoya Hill Hotel and Nagoya Hill Shopping Mall named Oregano Cafe & Bar. This 3-floors cafe in Batam was beautiful. The ground floor was a normal coffee shop with elegant white interiors, comfortable sofas, etc. 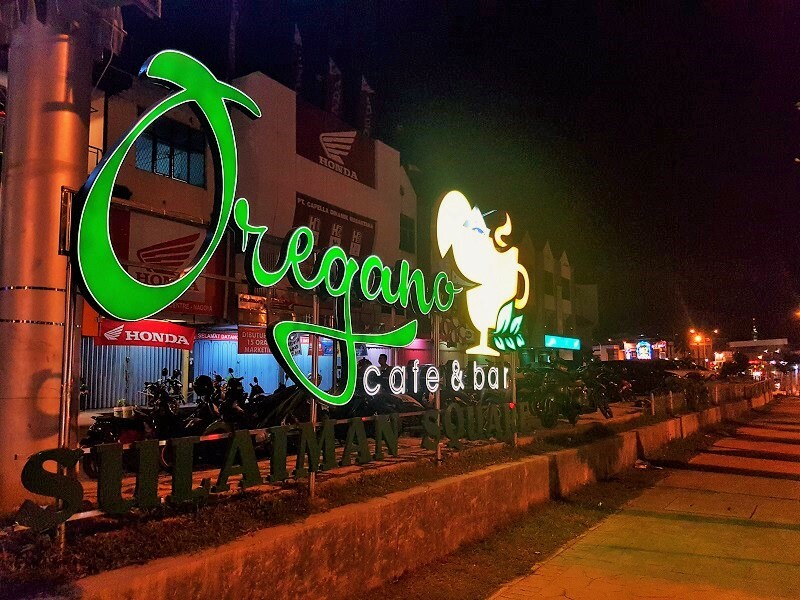 The second floor in Oregano Cafe & Bar served alcohol with live music, bar counter, etc. The third floor in the cafe was a little spacious one so that if you are in a large group, you can hop in here. After the dinner, it was the time to head back to the hotel. Whilst Ajay was booking the cab, I was walking, clicking pictures of the nearby area. Quick Fact: Though, public transport in Batam is pretty good. But it was around 1 AM and finding any public transport was impossible. Our savior here was Go-Jek. You can call it the Uber of Indonesia. They have both two-wheelers and cars as the taxis. The app's so good and smooth and the rates of the cabs are decent. 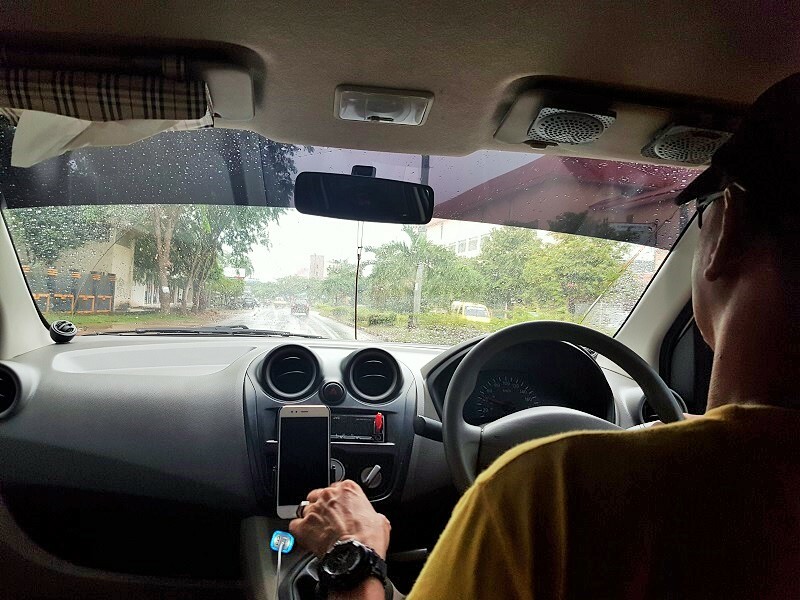 For example, we paid IDR 70,000 to private cab while traveling from Batam Center Ferry Terminal to our hotel. On the other hand, we just paid IDR 22,000 to Go-Jek while traveling from hotel to Batam Center Ferry Terminal. So, while clicking and roaming around on the roads, I had the third encounter of the people asking whether I want Boom Boom! I said no, but he kept asking me. Showed me the menu card, told the rates, provided discounts, etc. Well, I said no to him and as our cab arrived, we went back to the hotel. Next day, it was time to say goodbye to these beautiful Batam Islands. 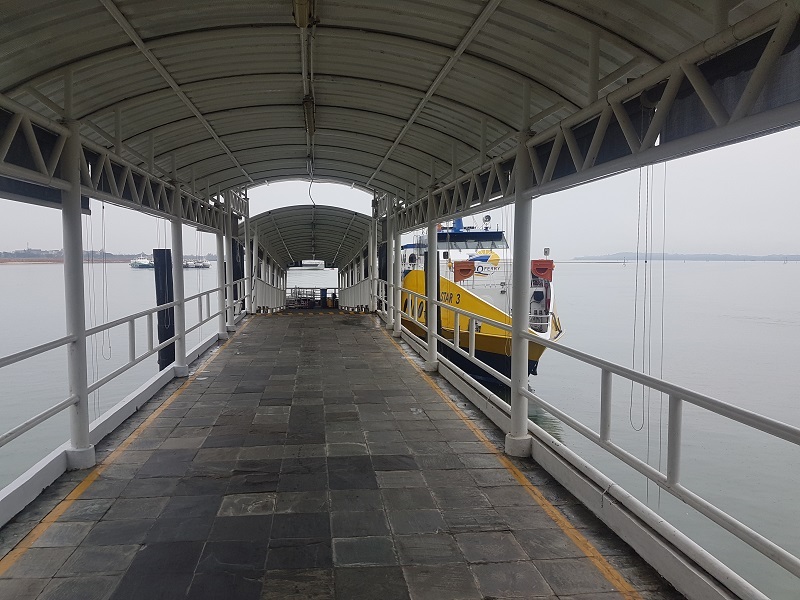 Our ferry was at around 2 PM, and hence, after a delicious breakfast at the hotel, we booked the cab from Go-Jek and headed towards Batam Center Ferry Terminal to catch our ferry to Singapore. Our journey from Batam Islands to Singapore was a pleasant one. 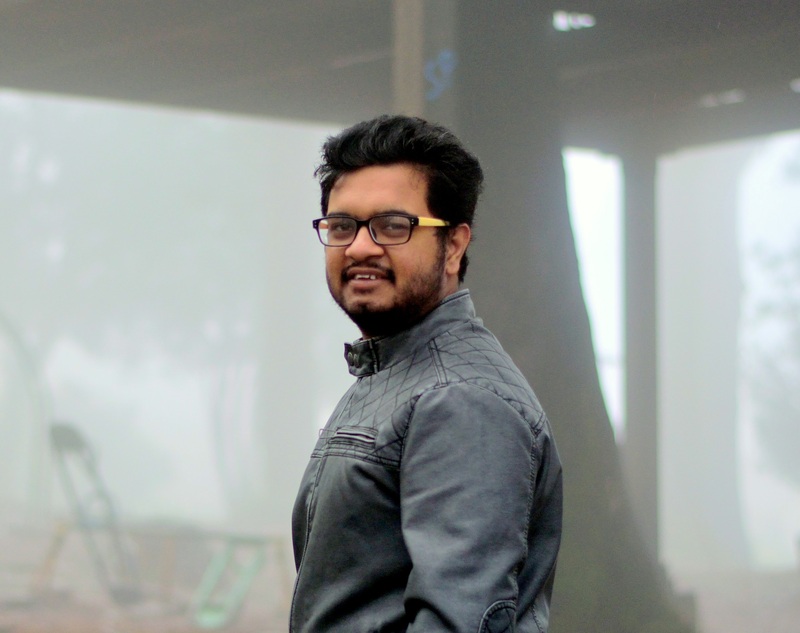 It had rained that day and the weather was awesome. While coming back to Singapore, the ferry was a pretty crowded as it was the end of the weekend and most of the people were heading back home. Luckily, we got the seats though but after some time we went at the end of the ferry where it was the open area and you can see the views. 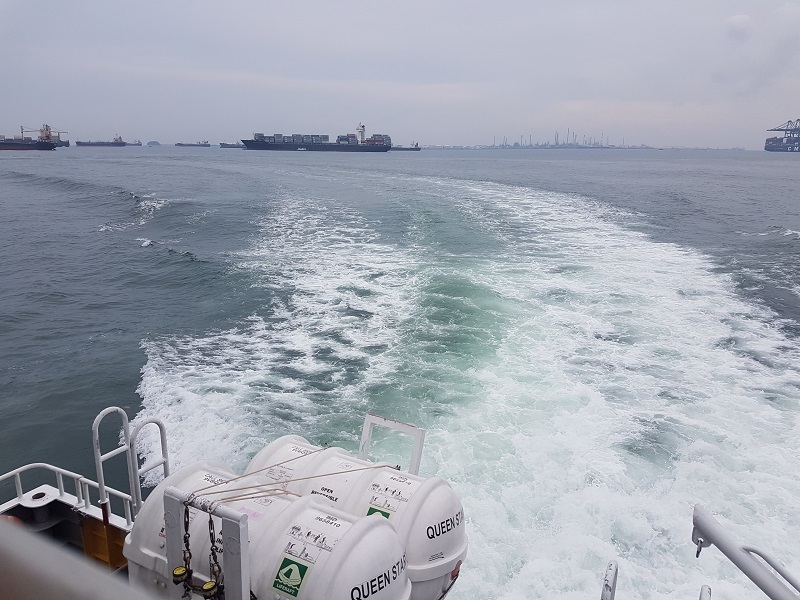 We reached Singapore from Batam at around 3.30 PM and after the immigration process, it was the time to start my Singapore exploration for the upcoming week. Always buy the local SIM with a good internet connection, even if you're going for one day. We really faced problem while finding directions and booking cabs, etc. because of no internet connectivity and the local number. Download the offline Google Maps of the areas you're visiting, which helps you find directions even you have no internet. The only limitation in offline maps that it does not show the walking directions, though it doesn't make much difference. Always download the local language in Google Translate, this was a big savior for us in Batam Islands, because the majority of the population in Batam didn't know English. 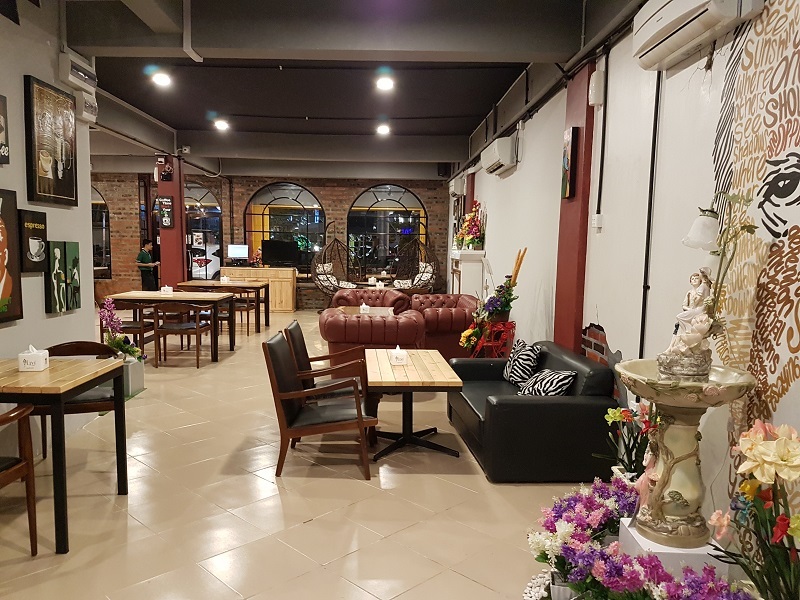 It's better to book the return ferry tickets from Singapore to Batam Islands and hotel in advance as it saves a lot of time for you.There are many hotels in Batam Islands, which you can find over the internet. There are many bike rentals in Batam though we couldn't find one because we did not do any research of Batam bike rentals before going. 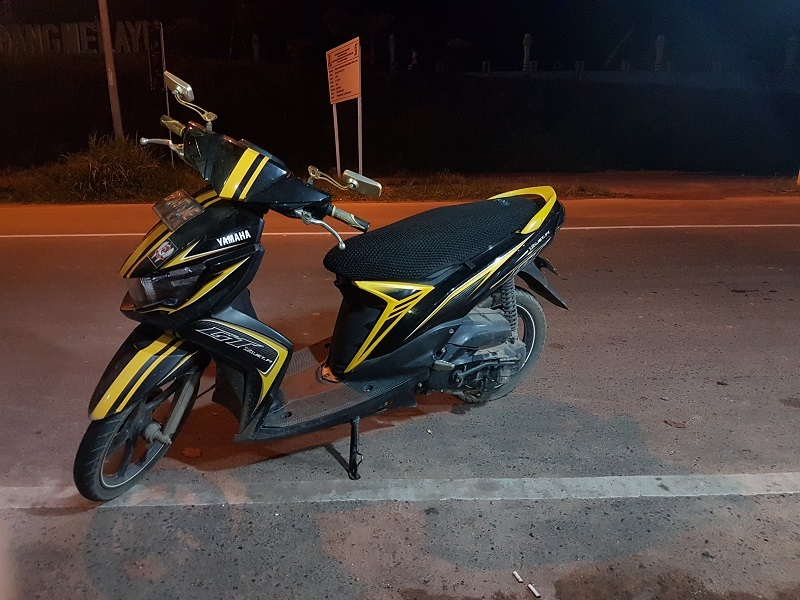 Renting a bike in Batam is the best way to explore this beautiful island. Hence, it would be great if you do a little research of renting of bikes in Batam before heading there. So, this was about my beautiful journey to Batam Islands from Singapore. Though I couldn’t visit a lot of places in Batam Islands it was a nice experience, which I will cherish forever. If you any more tips or ideas about visiting Batam Islands, let me know in comments.